I feel this is a good example of the approach to themed design that was taken in the early days of Disney and kept going in some form until the end of Presentationalism in the late 80s or early 90s. Mermaids don’t literally belong in a land about the future of real life. And submarines don’t literally belong circling a lagoon at the base of the Matterhorn while a monorail circles over-head – unless you want to concoct some story about how this is deep in the future after nuclear wars and climate change have ravaged the earth. The oceans now are at the base of the Alps, civilization has returned, and humans’ mutated ocean dwelling descendants live peacefully with their still original type human breatheren. Not quite the same tone. But no that’s not what’s going on here. Rather than a landscape formed by an explicit story, this a landscape that’s channeling more abstract, symbolic thinking – something Carl Jung I bet would have a lot to say about. The point isn’t to create a logical coherence, but an emotional right-brain one. This is something Walt was instinctively good at and occurred all over the park. Disneyland as a whole functioned as a landscape of the dream world and collective unconscious rather than the literal world. Environments and attractions weren’t based on necessarily how something is or should exist – but on how people imagine or expect to exist. It’s an environment built on mental associations. From the moment the body of water the submarines were to circle around was conceptualized as a crystal clear lagoon (another more symbolic reality than literal) it became obvious that mermaids should swim in it – because that’s what happens in the crystal clear blue lagoons of the mind. Disneyland conjures landscapes of the imagination and is better off for it. And while I immensely enjoy the insanely detailed literal and concrete (pun intended) hyper-real landscapes of the Rohde school – particularly because he and his team alone really seem to understand what is necessary to make that sort of approach work – I wish that themed entertainment designers would understand that that approach is not the only way, nor often the best way, and there are at least two other options just waiting to return to the stage if someone bothered to look (or was free to). 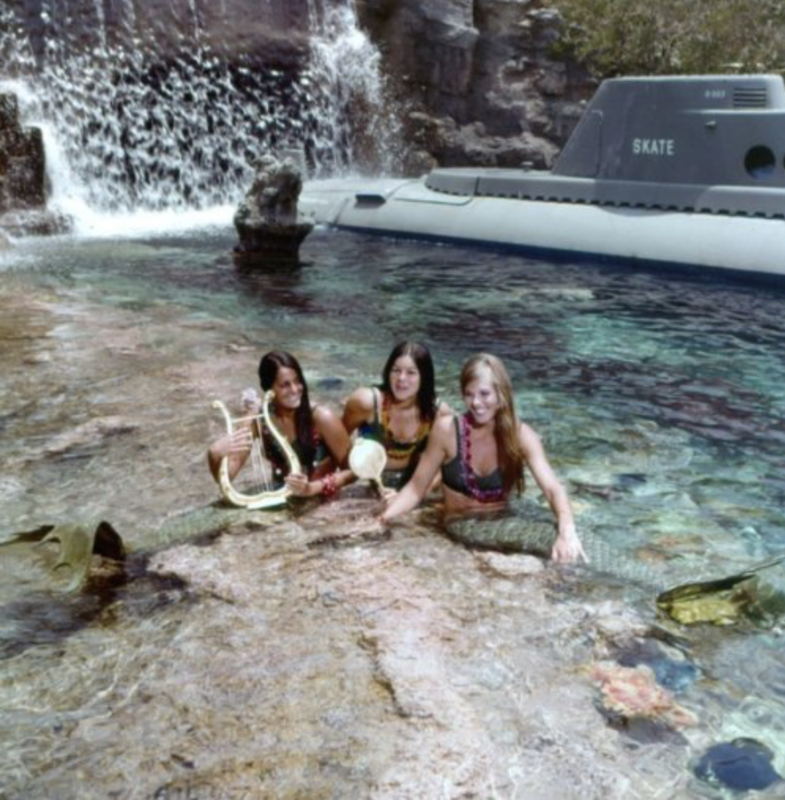 I’m not asking for a return of mermaids to the lagoon – the whole situation kind of was drenched in 1950s misogyny – but god I want the freedom of that sort of abstract and free-associative thinking to be allowed to make a comeback. Granted as long as we’re in the IP age that seems hard to do.